I’m not quite sure what it is about the Belgians. 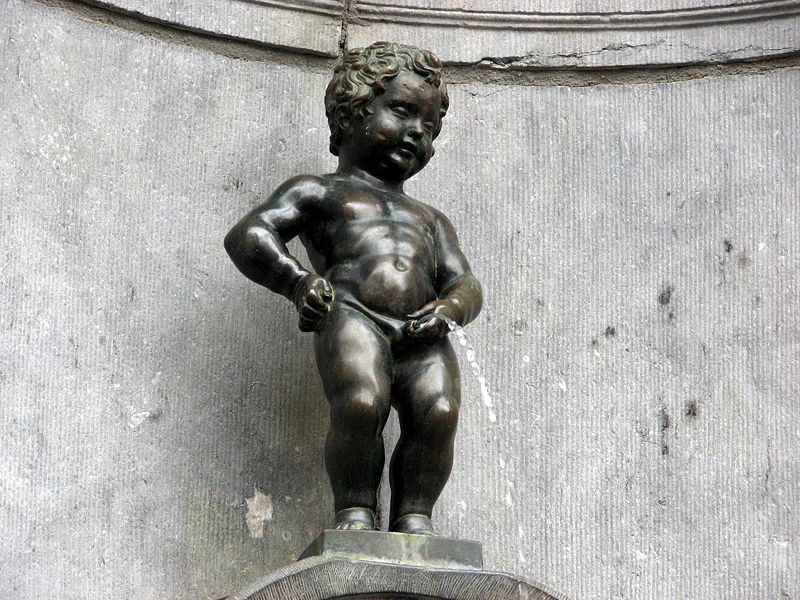 Their famous statue, Mannekin Pis, has been making schoolboys snigger since the seventeenth century. The original is now far too precious to have out on the street at the mercy of all and sundry so it’s now on display in the city museum. 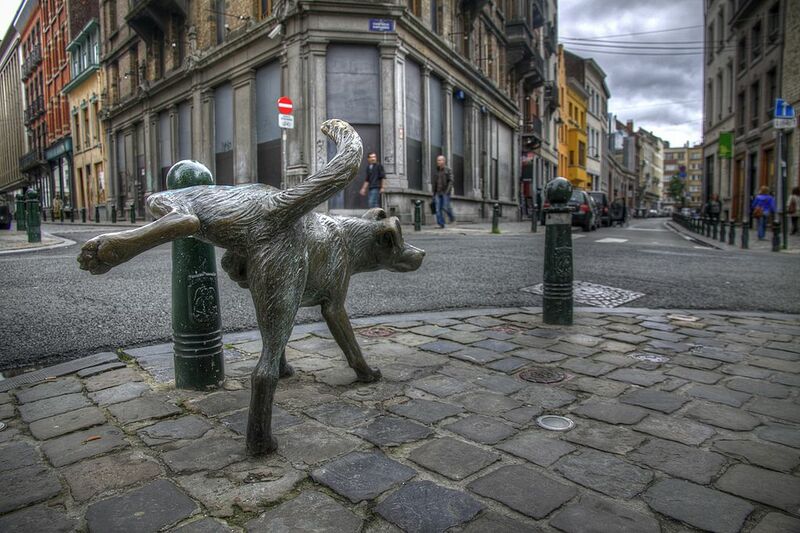 However in the mid nineteen eighties Denis Adrien Debouvrie, who lived in the neighbourhood, had the idea of creating a ‘sister’ for the famous peeing boy. 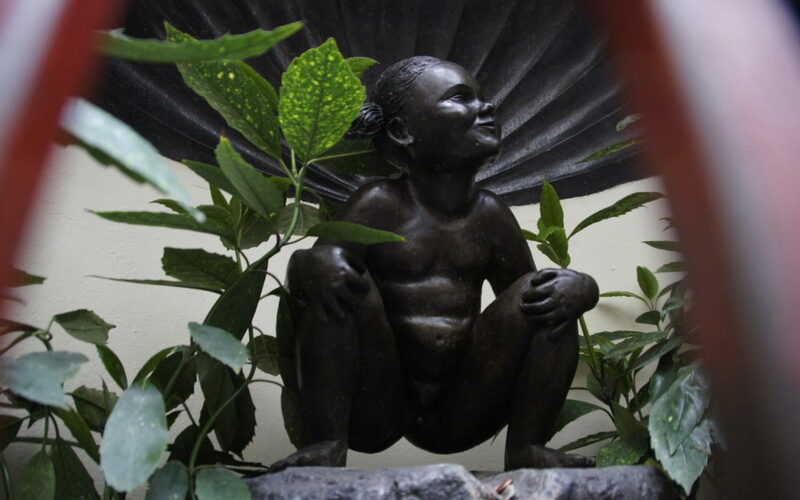 You can see her, Jeanneke Pis, in the image above. 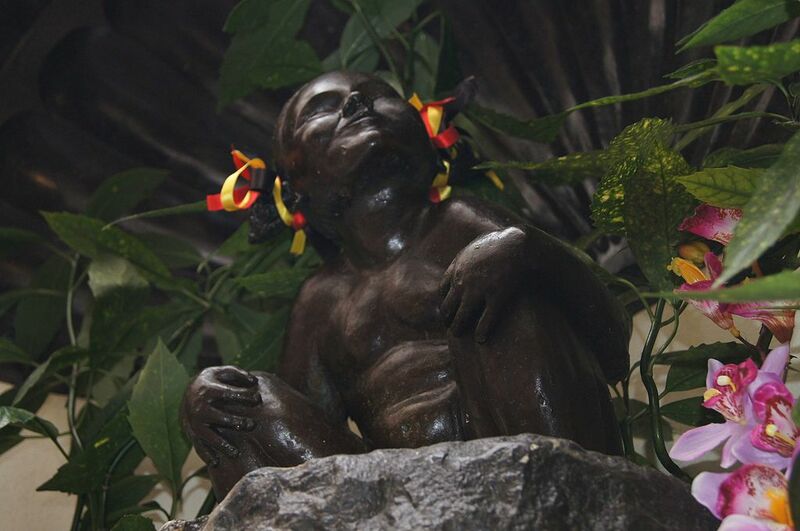 Not content with children, in 1995 a sculptor created the Het Zinneke, as you can see in the photograph below. 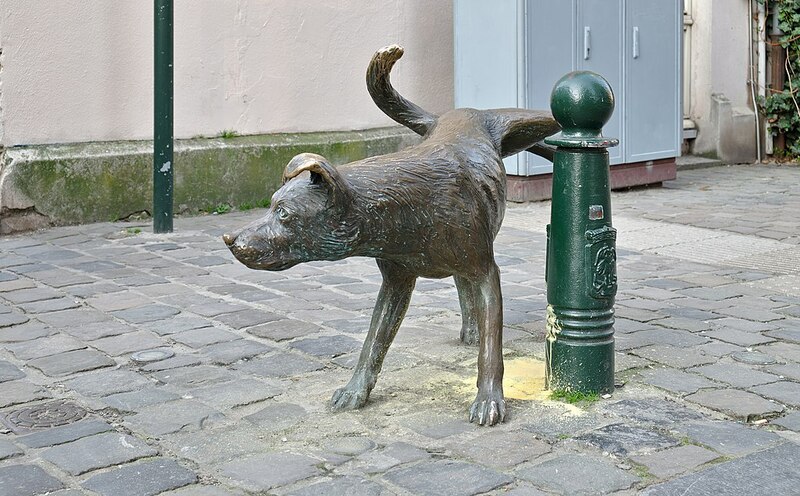 In 2015 the dog was hit by a car and had to be restored and repaired by the sculptor.